I don't really know where to start. Once again, Lady Gaga had built a huge hype around her new album and promised to revolutionise pop music and art and whatnot. And this is what she came up with? A forgettable electro track, mediocre at best. She sings the verses trying to sound like an '80s goth rocker, and then there's the generic chorus filled with repetition of the word 'applause'. Yeah, we get it already. Speaking of the lyrics, have you paid any attention to them? She's basically declaring to be the embodiment of art and pop and well, if this is it then I might as well drop the 'pop'-prefix from my blog name 'cause this is far from impressive. Or revolutionising, come to that. Living for the applause, as she sings, she has written a tune that is essentially "the sound of one pop star clapping for herself", as Spin put it in their review. Unsubtle and obsessed with fame as always, this is Gaga trying so hard to create a self-fulfilling prophecy out of herself. Awkward. There's more. The single was released earlier than it was supposed to be, following a leak of the song. Now, leaking songs in advance wouldn't be an unexpected thing to do from the likes of Gaga to try to build up to hype. Also, the single release just happened to coincide with the release of Katy Perry's "Roar" (which isn't half bad, actually). A bit shady, innit? Furthermore, she's encouraged her little monsters to buy the song on iTunes as many times as possible in order to top the charts win some kind of a competition relating to her forthcoming iTunes performance. Now that's just downright desperate. Gaga's also trying to turn the tables with her using the critics' comments in an 'ironic' anti-commercial of the new single, unsurprisingly victimising herself in the process. 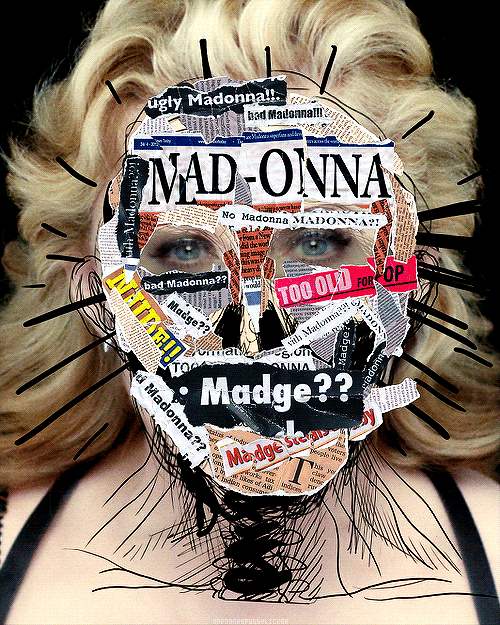 But wait, isn't that what Madonna did during her MDNA tour, in the "Nobody Knows Me" part...? Well whaddya know. Gaga and her not-always-so-original antics would make a great drinking game for sure.